The death toll from a US drone attack on a compound used by the Taliban-allied Haqqani network has risen to 26, according to officials. PESHAWAR (PAKISTAN) - The death toll from a US drone attack on a compound used by the Taliban-allied Haqqani network has risen to 26, officials said Tuesday, less than a week after a US-Canadian family held captive by the militants was rescued. The barrage on Monday targeted a meeting of Haqqani fighters in Pakistan's remote tribal Kurram district along the Afghan border in the deadliest attack on the group this year. 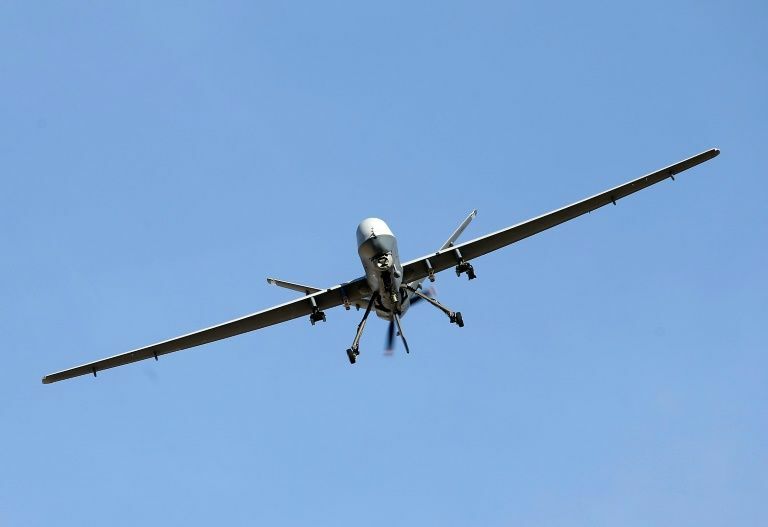 "First drone strike killed five fighters from Haqqani network and minutes apart a second drone then fired two more missiles after militants arrived to retrieve dead bodies from the rubble," a senior government official in Kurram told AFP Tuesday. "So far 26 dead bodies have been retrieved and drones are still flying in the sky," the official said. The US has increased pressure on Pakistan in recent months to crack down on the outfit. A second government official in Kurram confirmed the drone strikes and the new death toll. Both officials said the strikes took place on the border with Afghanistan, with part of the compound sited in Afghan territory. The Haqqanis are one of the strongest factions in the Afghan Taliban insurgency and have earned a fearsome reputation for their vicious attacks on NATO troops and Afghan installations over the years. The group has long been suspected of having ties to Pakistan's shadowy security establishment, souring relations with Washington. Canadian hostage Joshua Boyle and his American wife and three children were freed on October 11 in Pakistan after five years of captivity at the hands of the Haqqani network. The death toll from a US drone attack on a compound used by the Taliban-allied Haqqani network has risen to 26, officials said Tuesday, less than a week after a US-Canadian family held captive by the militants was rescued.